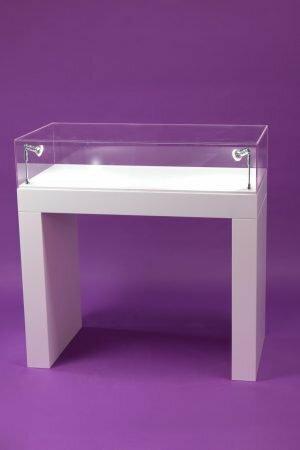 Most clients have found that when they have had a plinth with internal storage, they have been a lot more useful on the stand and in storage between events than just a five sided box. 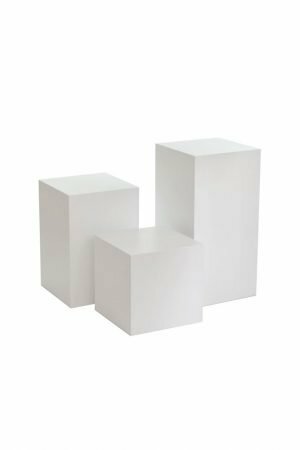 Having one side of the plinths which opens, to a storage area, your personal belongings and stock can be kept in the plinth during the exhibition so that you don’t have to worry about the security of your belongings at events. Some events require you to lock your products away overnight, rather than taking them back to a hotel or shop, they can be left locked inside the plinth. 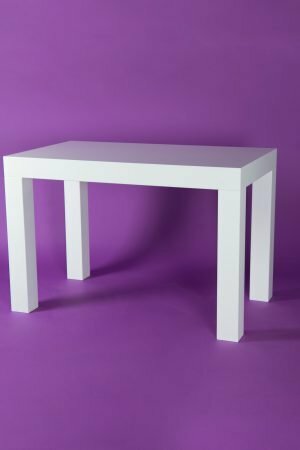 There are several options regarding interior shelving. 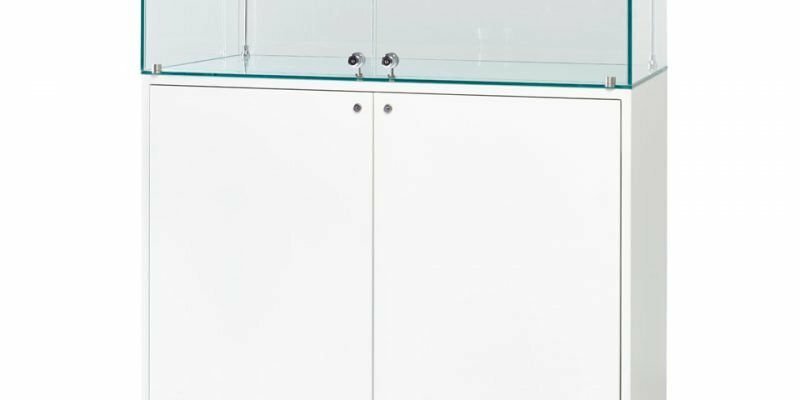 It’s not provided as standard with hire cabinets but it is an additional option with a purchase. 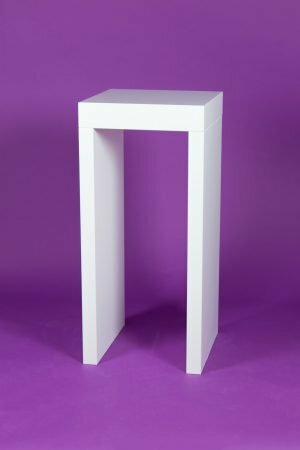 There are holes in the sides of the plinths inside which means you can adjust the shelves as you wish. Please make sure when you’re ordering you let us know how many shelves you would like. Plinths with lighting, have to have the doors as a minimum, so that you can easily access the electronics and change over the batteries without having to tilt over the whole plinth. The light switch in our new cabinets is now inside the lockable door as shown in the image. Previously, the light switches were on the outside of the showcase. The old showcases are slowly being replaced in our hire stock for on/off switches that are inside the cabinet, which means that they can easily be left unattended. The 100cm wide cabinets have two opening doors as shown in the image. The batteries inside are held inside small acrylic holders which allow for the percentage of battery remaining (shown digitally) to still be seen. The wires are above in the ‘ceiling’ of the cabinet. 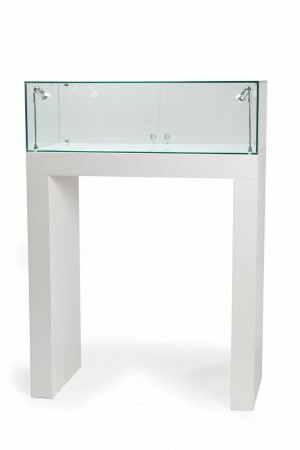 If you would like doors and shelves for internal storage in your display cabinet please let us know when you request a quote by calling the number at the top of the website.